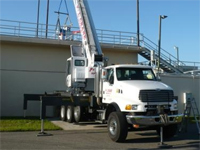 Tampa Crane Service | P&L Crane Service Inc.
From the time it was established in 2000, P&L Crane Service Inc. has become known as the place for professionalism when it comes to Tampa Crane service. 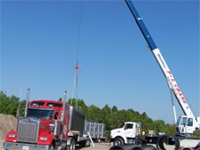 Our expert staff, unmatched selection and reasonable prices have helped P&L Crane Service Inc. earn a reputation for convenience, quality and value. 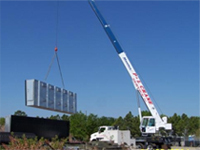 P&L Crane Service Inc. provides the knowledge and experience to help you select the best crane service for your needs. 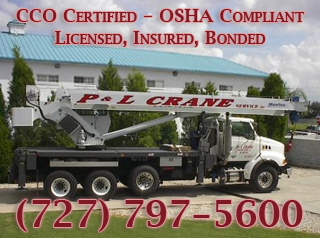 When you call P&L Crane Service Inc., you can rest assured that you will receive fair and honest pricing and courteous service from our entire staff. We're glad you're here - if you need any help, feel free to contact us. 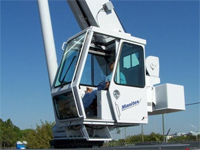 Tampa crane operators are essential in today's industries. 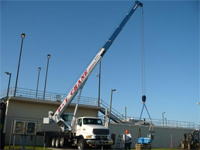 Tampa Crane equipment is used to transport heavy loads that are beyond men's capacity to do so. This is made possible because of the pulleys and cables attached therein. It is these kinds of heavy equipments that allow the efficient workflow in warehouses, production areas and even factories. In fact, this very equipment is mostly recommended in building sites as they are on the forefront of those which have the most use. However, not every industry has the capacity to buy a crane. One single unit can prove to be very costly. Attached to buying this is the need to hire somebody who is well trained to man the crane. Also, there is that expense with regard to the maintenance of the unit. 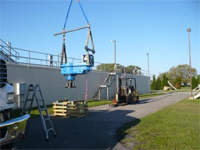 Others, therefore, opt to employ a company that offers crane for hire services. The market for engaging this assistance is quite huge. But before finally hiring one, there is a need to properly gauge your needs vis-à-vis the service you will be pooling in. 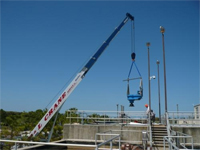 When hiring a Tampa Crane services company, you may be presented with many different kinds and types. There is a need to understand the specific demands of your industry in order to avoid more confusion on your part on which to choose. Give much thought on its purpose. Say for example, you require one that will cater your need to load and unload very bulky materials. There are those that are tagged as normal that are commonly used for construction purposes, floating that are used to build bridges and tower that are utilized for creating skyscrapers. Properly assessing your needs would help you get the most out of your budget and you maximize its use. You would want to engage the services of companies that knows and understands the laws and regulations involved in doing the business. They should not only know how to operate well equipments like marine cranes among others but it is necessary for them to know everything involved with it. If the companies do not have the technical know-how then they are certainly not right for the job.